Co-ordinating the work of researching, assembling and writing items for the website, social media and news emails. Ensuring that the organisation’s news articles are interesting, useful, timely, consistent with the organisation's policies and of an agreed level of quality. 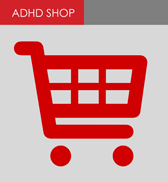 Staying across the general issues and trends in Adult ADHD. Meeting regularly with other key team members. Contributing to the operational running of the organisation. Attending the organisation’s events (e.g.Quarterly awareness afternoons and conferences). We would prefer someone who has at least basic evidence-based knowledge of adult ADHD, or the ability to acquire this knowledge quickly. We are looking for a person with initiative, creativity, flexible, fits well within a small volunteer team environment and can do great things with limited resources. Previous experience editing a newsletter or something similar would be an advantage as would experience volunteering in a not-for-profit charity. Initially you will work with the existing editor whilst you get your feet and become familiar with the environment.